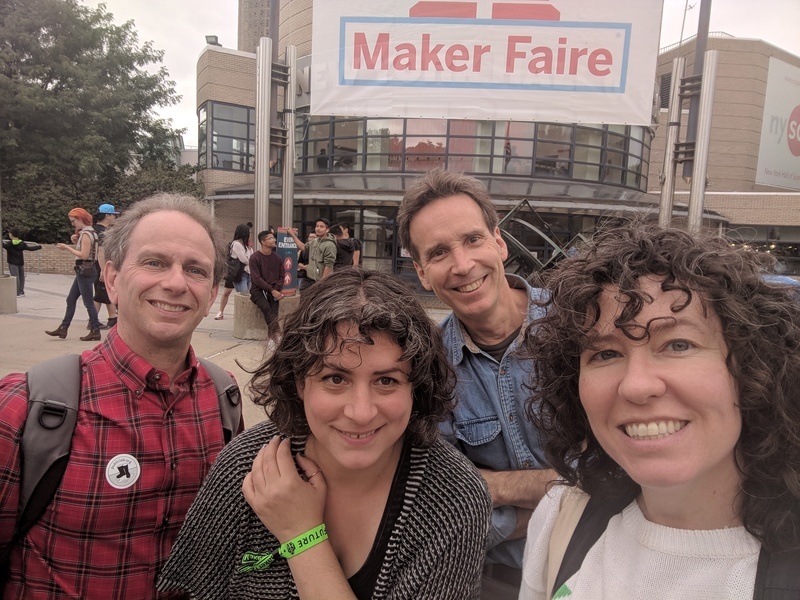 On Sunday September 23, Public Lab had the opportunity to lead a hands-on microscope workshop for 30 people of all ages at NYC Maker Faire. We worked with the most basic USB webcam version of our kit, and had some great success locating microorganisms in samples of pond water from the Prospect Park lake in Brooklyn, NYC. We were especially excited to hear about some of the research plans that workshop attendees had for their new microscopes, and look forward to hearing from some new microscope enthusiasts. We had invaluable hands-on support from @Eymund who was able to help frame some questions about the microbiomes of NYC's waterways, and Jay Holmes, who brought one of his own handmade microscopes (you can see it here) who was able to step in with some extremely useful microscope expertise. We'll be sharing some of the questions that came up during this session in other research notes, and are looking forward to hosting another microscope meetup sometime this fall to continue experimenting with the kit's design and discuss how we might use it for environmental research in and around NYC, so stay tuned if you're interested in joining us! Workshop team post-event: slightly frazzled but excited for next steps! @Bronwen has marked jholmes5 as a co-author.